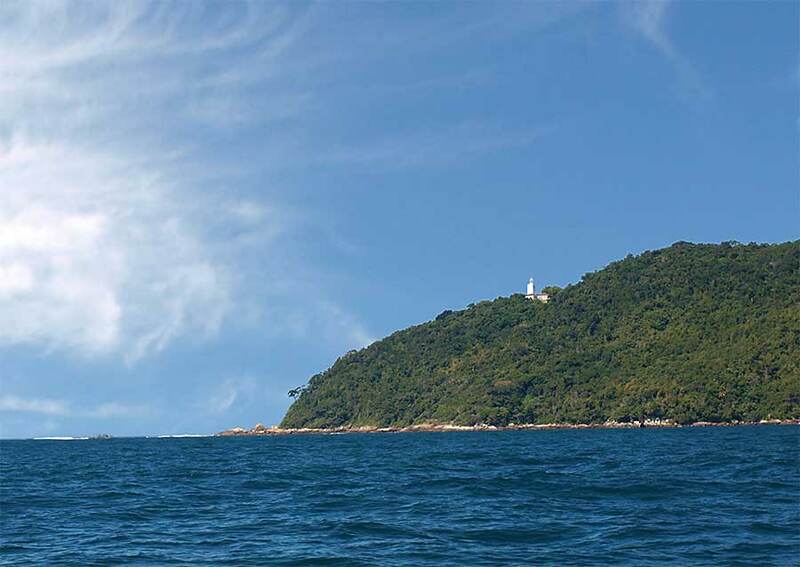 To cut a long story short we ended up doing a clockwise circumnavigation of Ilha Grande. The winds were light so we mostly motored, occasionally using the genoa, and had a look at some of the many anchorages on the way. The sky was often hazy or overcast, not so good for photography (sorry), but we managed to take a few. After Sitio Forte our next overnight stop was at Abraao. We anchored among a few other sailing boats to the east of the village. Soon after we arrived in the afternoon the wind picked up, gusting over 30 knots for some hours. The bottom is silty mud so we had to lay out plenty of chain for good holding. 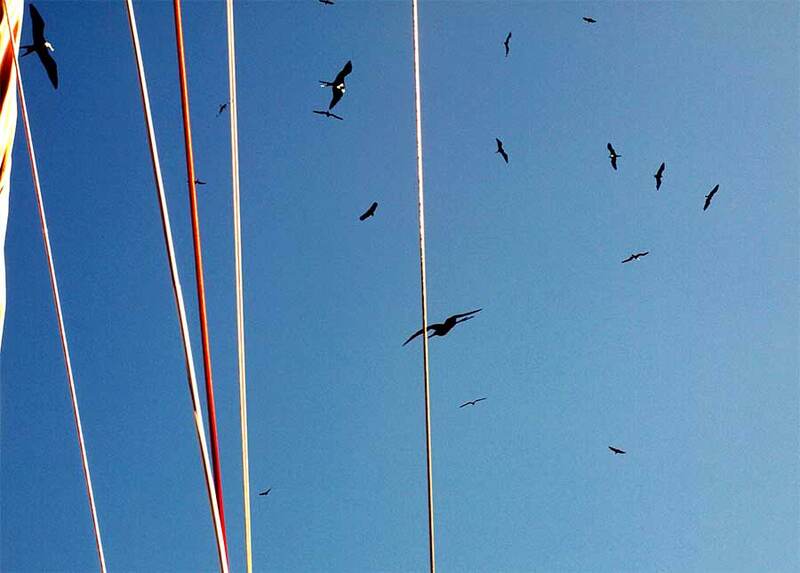 We waited until the next day before rowing ashore and walking into town. 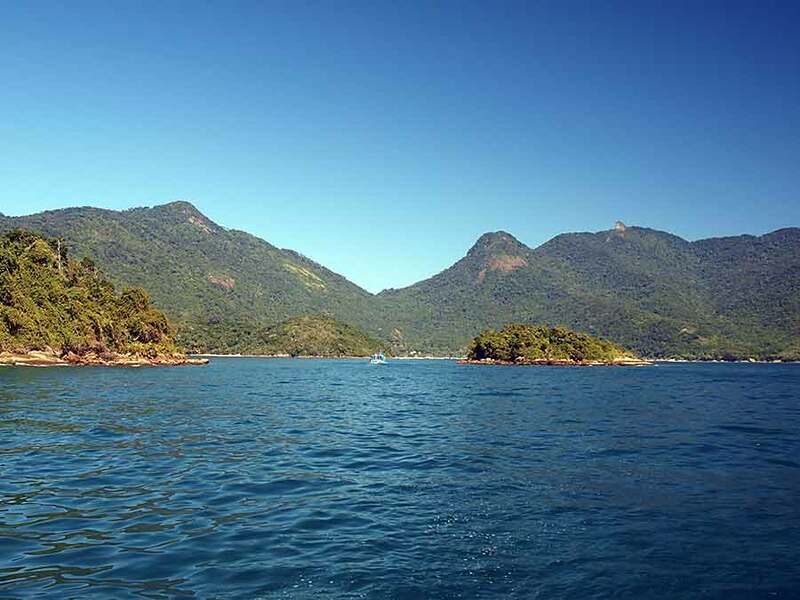 There are no roads on Ilha Grande so the coast path is at best a rough track. 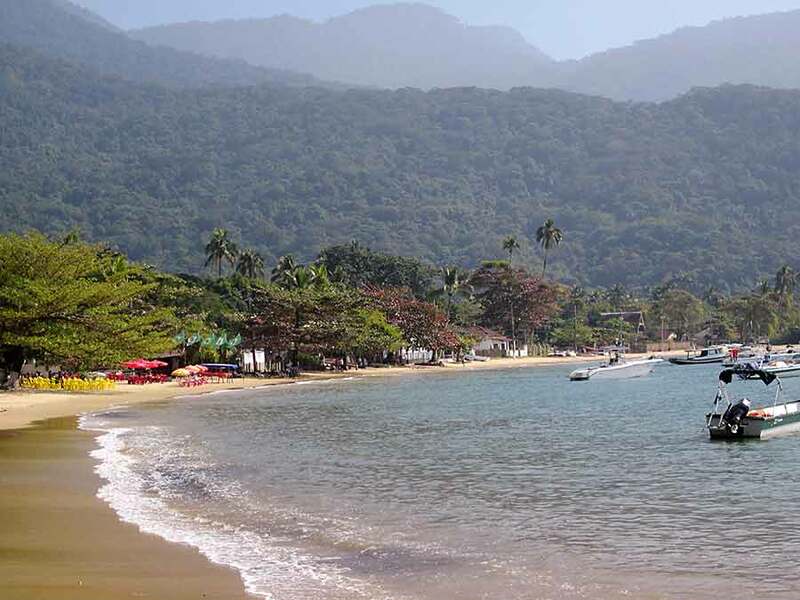 The village has a few shops but is mostly pousadas (small hotels) and restaurants, strung along the beach. Even in the depth of winter it is a popular place for both walkers and sun-worshippers. The sun was shining so after shopping for fresh provisions we treated ourselves to lunch at a beachside restaurant and watched the world go by. 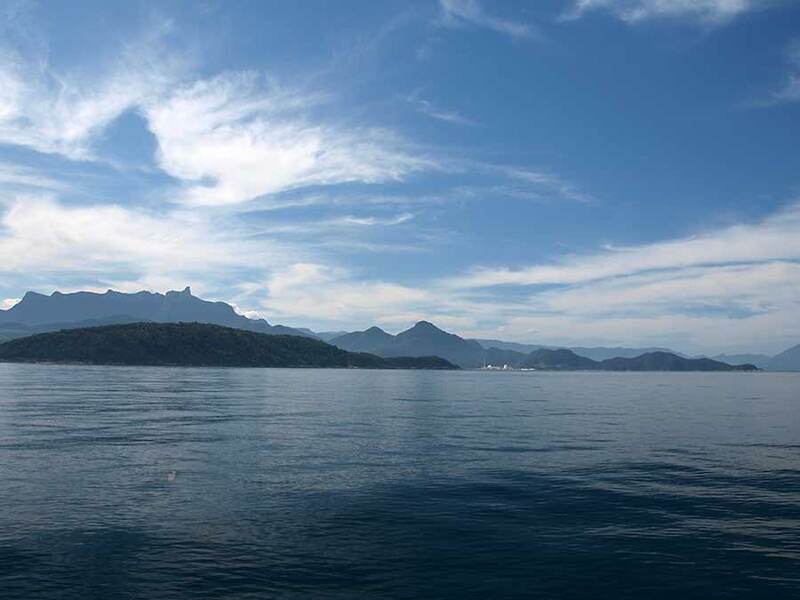 The south side of Ilha Grande is open to the Atlantic swell and can be uncomfortable for cruising but with a drop in the swell forecast we decided to head there next. It was still choppy in places, but the scenery is lovely and the birdlife on the little island of Jorge Greco is spectacular. 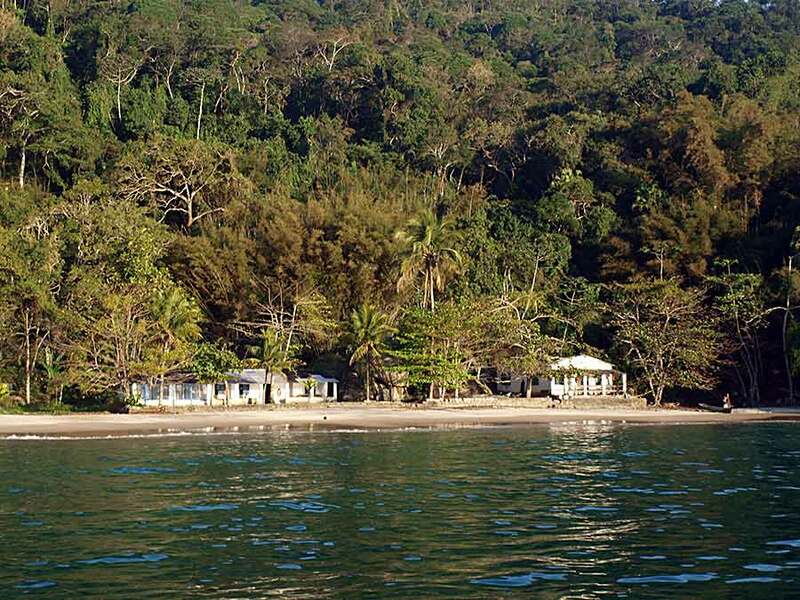 We spent a night at Praia Pernaioca, a beautiful isolated beach with just a few fisherman's huts ashore. 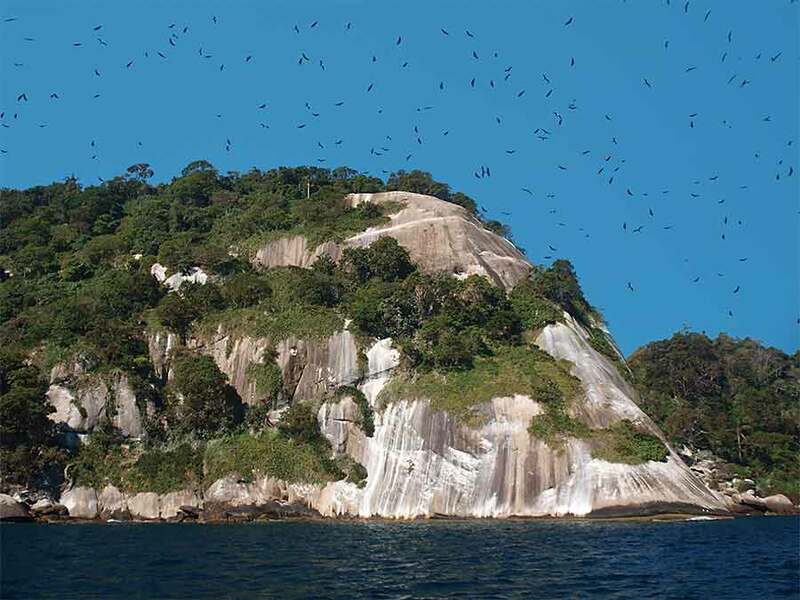 The islet of Jorge Greco; a few miles off the main island and a haven for birds . 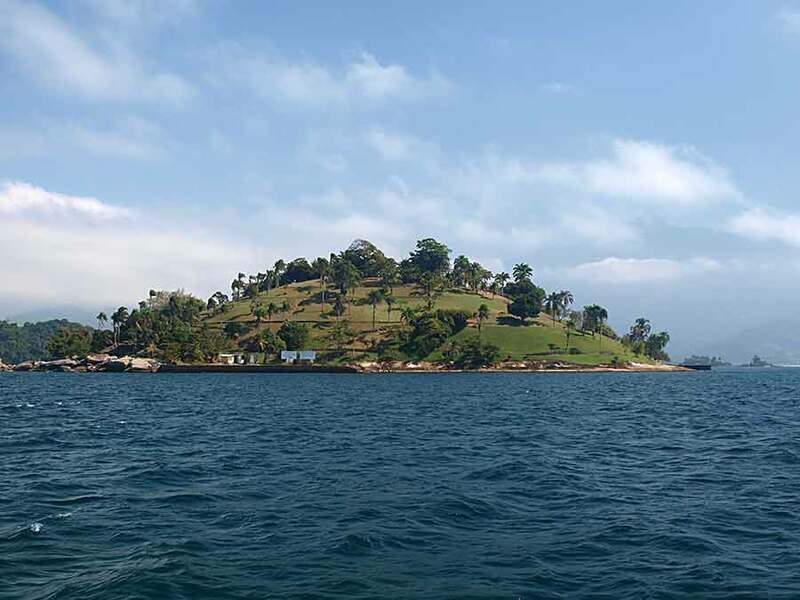 . .
Our circumnavigation complete we then headed northwest to the little island of Sandri, a good place for snorkelling. 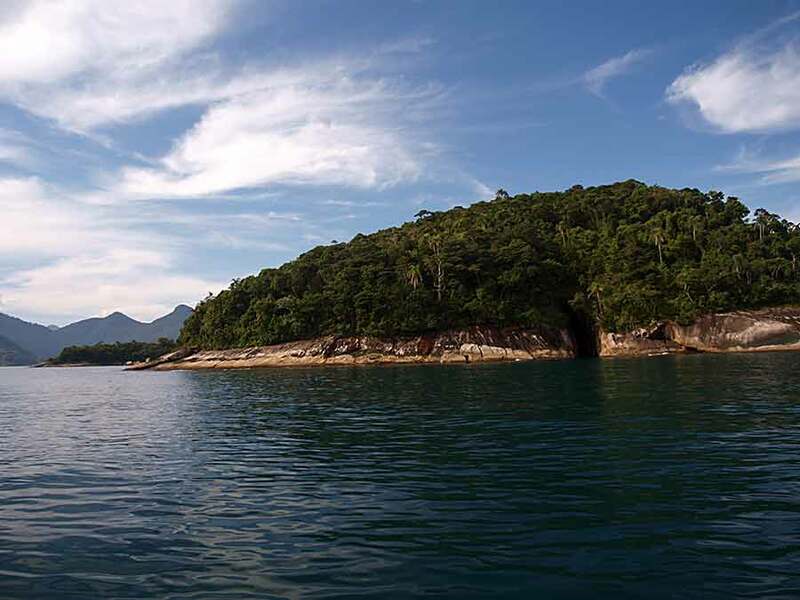 The next day we returned to Marina Bracuhy to get ready for an inland expedition to the city of Sao Paulo.